Talal Suleiman Awadallah, 23, passed away unexpectedly on June 4, 2016. He was born on July 12, 1992 in Amman, Jordan, son to Suleiman and Nuha (Eses) Awadallah. 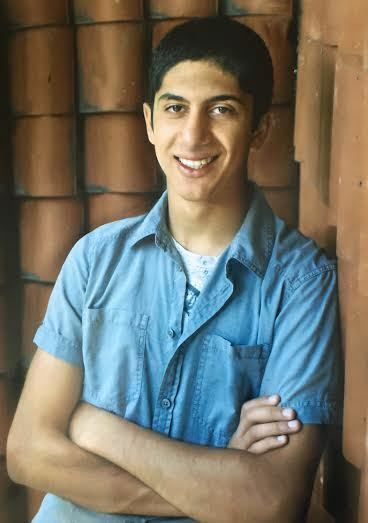 Talal was a 2010 Western Reserve High School graduate and was currently pursuing a college education at Kent State University. He was a talented writer and painter and had a love for art. Talal expressed his passion for music by writing songs and playing the guitar and drums. He will be remembered for his academic pursuits like learning the Japanese language and he cared deeply about politics, especially nature conservation. Talal had a talent for bringing joy and laughter to everyone and he was always ready to help those in need and less fortunate. He also enjoyed hiking and spending time with his friends and family. Left to carry on Talal''s memory is his mother, Nuha Awadallah; his siblings, Sami, Sahar, Samir, Samer, Mansour, Zain, and Alia Awadallah; and countless close friends. Talal is preceded in death by his father, Suleiman Awadallah, and his sister, Saida Awadallah. The family will receive friends from 5-8PM today, Tuesday, June 7 at Lane Family Funeral Homes, Austintown Chapel, 5797 Mahoning Ave. Burial will take place at 2:30PM on Wednesday, June 8 at Green Haven Memorial Gardens. Family and friends may send condolences to www.lanefuneralhomes.com . Please share your memories of Talal.